We will always be fans of minimalism and high concept arcitecture, but that doesn’t mean we don’t love whimsical, earthy approaches. 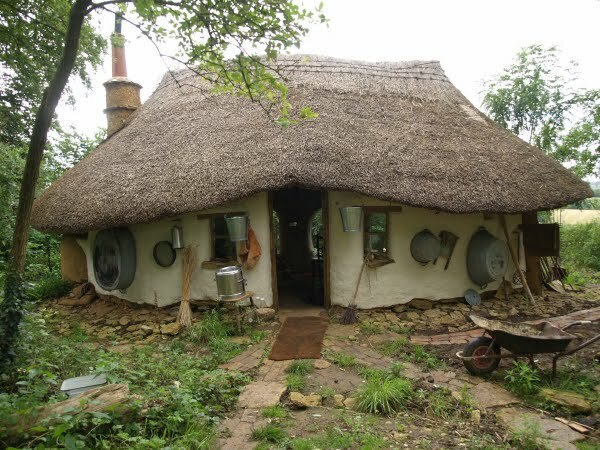 In fact, we are quite taken with hobbit homes, tree houses and anything that looks like it belongs right in “Middle Earth.” And a retired school teacher from Oxforshire, England, proves that you can create your own little hobbit home with just a wee budget of $250. 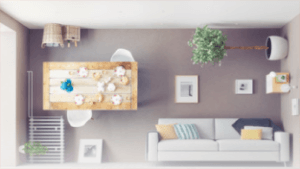 Another plus aside from the low costs involved? 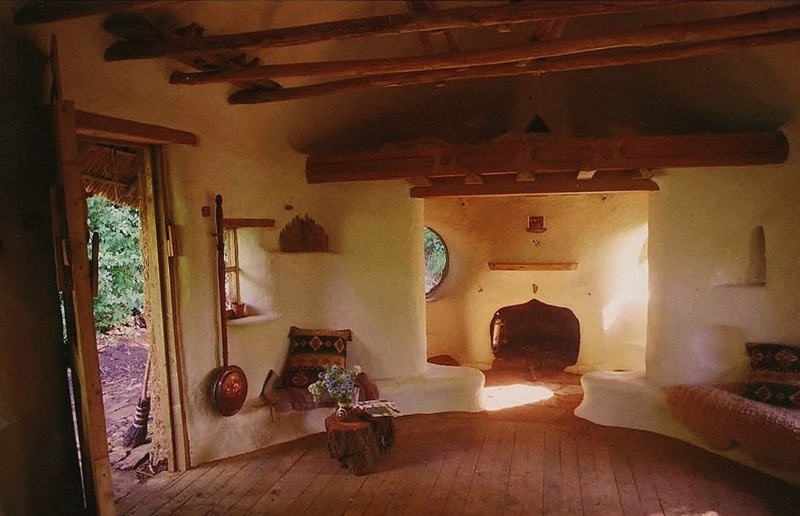 Michael Buck relied on pre-used, natural, reclaimed and mostly biodegradable materials, building his structure with earth, sand, clay, water and straw – a prehistoric method called Cob. He’s self-taught and drew up the plans himself. The floorboards came from a neighbor, the windows from an old van, the sheep wool used for insulation from a local farm, as did the cow dung. The straw was sourced from nearby fields and the clay from the building site in his garden itself. 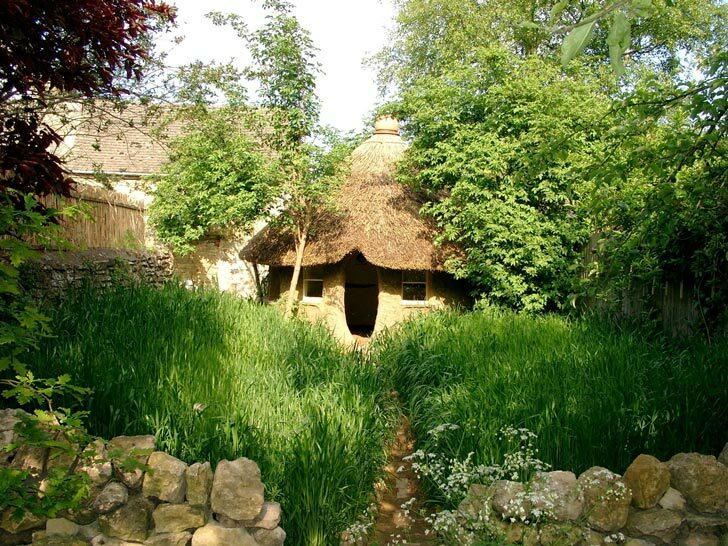 The little cob house with its thatched roof, measuring just 300 feet of floor space, doesn’t have electricity but a wood-burning stove. It does have running water thanks to a diverted local spring. There’s a composting outhouse-type toilet and a tub that functions as a bathroom outside. 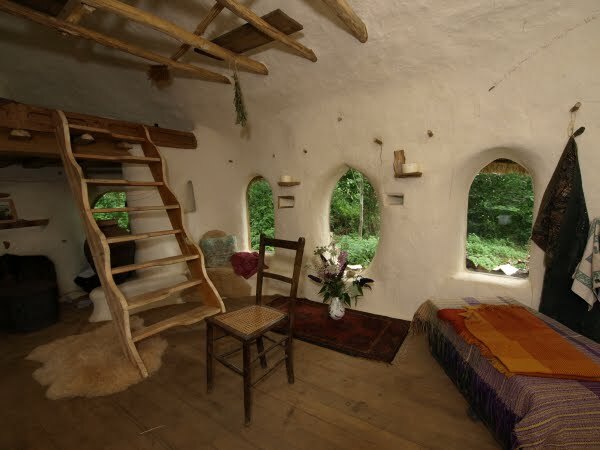 The term “Cob” dates to circa 1600 but is indeed an ancient building method using elements such as earth, water and straw, with variations depending on where the structures are found, from Cornwall, England, to Afghanistan, New Zealand to the African continent.